The first definitive settlement in Rosario was on the banks of the Paraná River and dates back to 1730. But it was not until 1852 that Rosario was declared a city and began to experience urban development, especially from 1890 onwards, when Rosario's building regulations, or the Reglamento de Construcción de Rosario, were formulated. Urban growth was made possible thanks to economic prosperity, which was the combined result of major agricultural production, the city's port activity and the railway lines that linked Rosario with the main cities in the Republic of Argentina from 1886. Waves of immigration to the city soon followed and these were accompanied by a construction fever from an increasingly more powerful middle class. Despite a tradition of vernacular styles and the presence of eclectic architecture, Art Nouveau was introduced and well received in the city. Francisco Roca i Simó, a young Majorcan architect trained in Barcelona, is thought to be the person who introduced this new style. 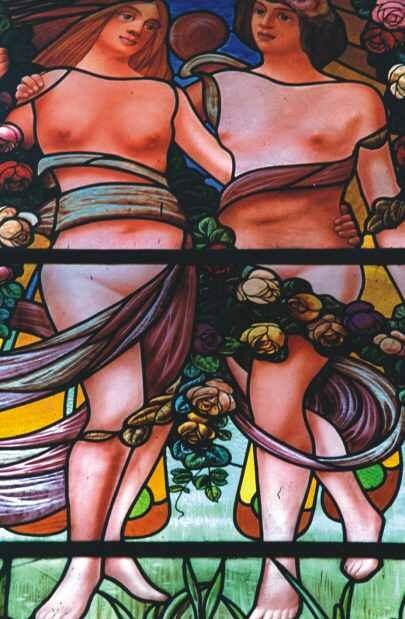 He arrived in Rosario in 1909 and made contact with the Canabellas, a wealthy Catalan-Valencian family. This link was later to become fruitful, because the Canabellas saw in Roca i Simó someone to express the mark of the family and their presence in the city. 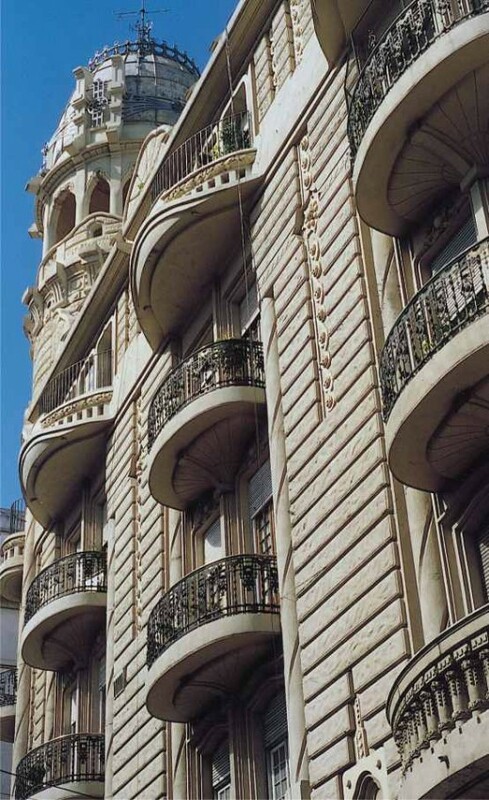 This patronage contributed to the construction of over a dozen buildings in a mix of coup de fouet, Secessionist and Modernista styles, the latter belonging to early Modernismo with echoes of eclectic and historicist styles. 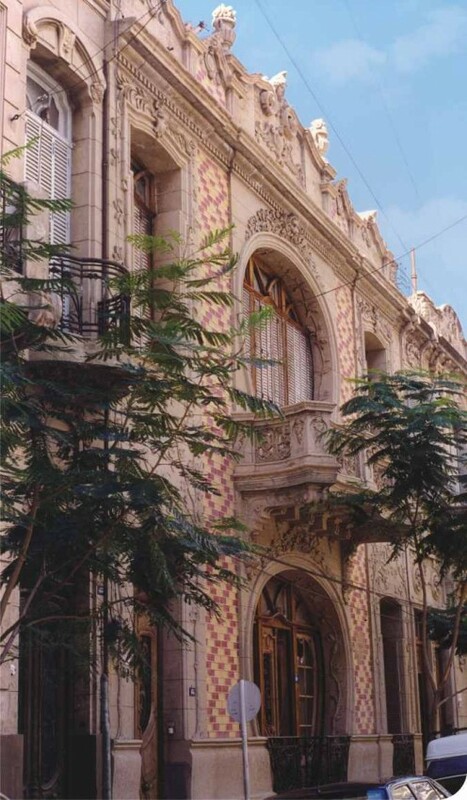 The Club Español, a centre that welcomed the activities of the Spanish community in the city from its opening in 1913, is a highlight amongst his work, almost all of which comprises party wall houses that are centrally located near Paseo de la Tradición. In terms of the applied arts, it is worth mentioning the work of the Barcelona sculptor Diego Masana. Other works by Roca i Simó are the Asociación Española de Socorros Mutuos, Palacio Cabanellas, Casa Remonda Montserrat, La Europea confectioner's and the Castilla-Río de la Plata Bank.